Ulster have been placed in Pool 4 as they look to make their way to the final in Newcastle. 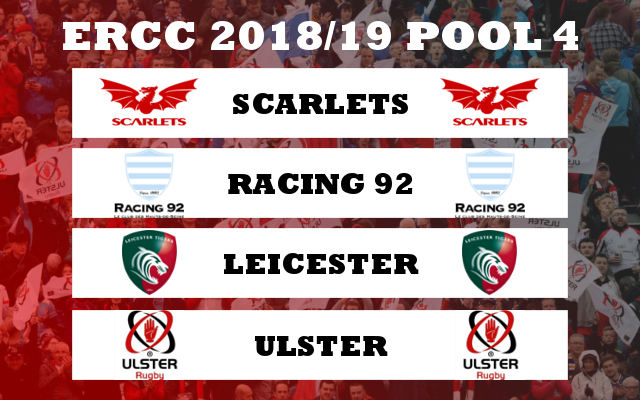 Their first step towards the final will be to qualify from their pool which includes Scarlets, Leicester, and last season's finalists Racing 92. Match fixtures for Rounds 1 to 4 of the pool stages have now been announced. Round 5 and 6 fixtures are expected to be announced in December following the completion of the Round 4 matches. Redgrange Ltd t/a Killestertravel is licenced by the Commission for Aviation Regulation, TA 378 TO 137. Copyright © 2017 Killester. All Rights Reserved.